Micro-credentials are competency-based, on-demand, personalized, and sharable. They empower educators to drive their professional learning and give administrators the tools they need to personalize learning for the educators and meet their broader goals. 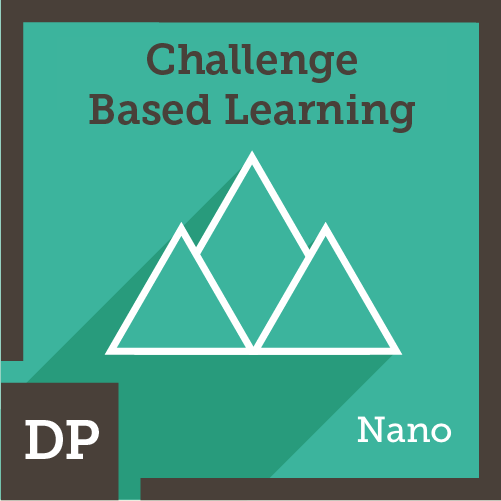 Demonstrate your knowledge of Challenge Based Learning by completing a micro-credential. The Challenge Institute and Digital Promise have partnered to offer three levels of micro-credentials. The educator engages in a Macro Challenge, where Learners identify and investigate Big Ideas, develop Challenges, do extensive investigation across multiple academic disciplines, and take full ownership of the process. The Challenge Based Learning Framework is used from start to finish, including the implementation and evaluation of the Solution in an authentic setting.